► Subscribe us http://goo.gl/Y4p3k ► Dhoom 2 Playlist: http://goo.gl/dCPZpg ► Like us on Facebook https://www.facebook.com/yrf ► Follow us on Twitter https://twitter.com/yrf ► Circle us on YRF G+ https://plus.google.com/+yrf ► Follow us on Instagram http://instagram.com/yrf ► Follow us on Pinterest http://pinterest.com/yrf Watch Full Movie on: Google Play - http://goo.gl/P8jENJ YouTube - http://youtu.be/oqyZo-NC8_I iTunes - http://goo.gl/z17cnh Cast & Credits: Hrithik Roshan, Abhishek Bachchan, Aishwarya Rai, Uday Chopra & Bipasha Basu Guest Appearance: Rimii Sen Director: Sanjay Gadhvi Producer: Aditya Chopra Music: Pritam Lyrics: Sameer Story: Aditya Chopra Screenplay & Dialogues: Vijay Krishna Acharya Cinematography: Vikas Sivaraman & Nirav Shah Action: Allan Amin Executive Producer: Aashish Singh Choreography: Vaibhavi Merchant & Shiamak Davar Costume Design: Anaita Shroff Adajania Editor: Rameshwar S. Bhagat Sound Design: Dwarak Warrier Art Direction: Guruji Brothers, Rachna Rastogi & K.K Muralidharan Background Score: Salim -- Sulaiman Publicity Designer: Fayyaz Badruddin (YRF - Design Cell) Stills: Adil Jain & Tarun Khimani Visual Effects: Pankaj Khandpur (Tata Elxsi - VCL) Music On: Yash Raj Music The world's oldest desert, the Namib - A solitary railway line... A royal family on a royal journey. From the sky... like lightening... A flash... the centuries old royal crown is stolen. Back in action... DHOOM:2 reinvents the action comedy genre and propels it into the 21st century. Ali's (Uday Chopra) dream of becoming a police officer has come true. He is now ACP Jai Dixit's (Abhishek Bachchan) right hand man. Together they are trying to keep a tight leash on the crime in India, little do they know what they are going to be up against. Enter Aryan - Mr.A (Hrithik Roshan) A high tech international thief after pulling off a series of impossible heists all over the world. His next target is Mumbai, India. The case is given to ACP Jai Dixit and Ali helping them put the pieces of the puzzle together is ACP Shonali Bose (Bipasha Basu). For the last two years Shonali has been tracking these amazing thefts and is now an expert on this thief, who no one has seen. Once in Mumbai Mr.A finds his match in Sunehri (Aishwarya Rai). A petty yet clever thief. She makes him an offer he finds very hard to refuse. A partnership Aryan accepts. And so the game begins. The cops, Jai, Shonali and Ali and they are after Aryan and Sunehri - The Robbers. From the desert of Namibia to the backwaters of Goa, the mean streets of Mumbai and the ancient forts of Rajasthan and finally to wild and exotic Rio Brazil. Does ACP Jai Dixit manage to nab Mr.A? Go on! Enjoy the ride!! Once again!!! DHOOM:3. Starring Aamir Khan, Abhishek Bachchan, Katrina Kaif & Uday Chopra. ► Buy from iTunes: http://goo.gl/YNGDJp Song: Amali Dhumali Singer: Sunidhi Chauhan Music: Pritam Lyrics: Pa. Vijay ► Subscribe to yrf http://goo.gl/Y4p3k ► Like us on Facebook https://facebook.com/Dhoom3TheMovie ► Follow us on Twitter https://twitter.com/Dhoom3TheMovie ► Circle us on YRF G+ https://plus.google.com/+yrf ► Follow us on Instagram http://instagram.com/yrf ► Follow us on Pinterest http://pinterest.com/yrf Set "Amali Dhumali" - Song as your Caller Tune (India only): http://tinyurl.com/k8ff3ab Produced by Aditya Chopra, DHOOM:3 is written and directed by Vijay Krishna Acharya, who had also written DHOOM & DHOOM:2. Apart from Aamir Khan, who plays the anti-hero in the film, and Katrina Kaif, both Abhishek Bachchan and Uday Chopra will continue in their now iconic roles of Jai Dixit and Ali. DHOOM:3. Starring Aamir Khan, Abhishek Bachchan, Katrina Kaif & Uday Chopra. ► Buy from iTunes: http://goo.gl/YNGDJp Song: Mayanga Singer: Abhishek Nailwal, Mahalaxmi Iyer Music: Pritam Lyrics: Pa. Vijay ► Subscribe to yrf http://goo.gl/Y4p3k ► Like us on Facebook https://facebook.com/Dhoom3TheMovie ► Follow us on Twitter https://twitter.com/Dhoom3TheMovie ► Circle us on YRF G+ https://plus.google.com/+yrf ► Follow us on Instagram http://instagram.com/yrf ► Follow us on Pinterest http://pinterest.com/yrf Set "Mayanga" - Song as your Caller Tune (India only): http://tinyurl.com/qzno5jv Produced by Aditya Chopra, DHOOM:3 is written and directed by Vijay Krishna Acharya, who had also written DHOOM & DHOOM:2. Apart from Aamir Khan, who plays the anti-hero in the film, and Katrina Kaif, both Abhishek Bachchan and Uday Chopra will continue in their now iconic roles of Jai Dixit and Ali. ► Swag Se Swagat Song: https://youtu.be/xmU0s2QtaEY ► Subscribe Now: https://goo.gl/xs3mrY 🔔 Stay updated! Zooni’s lost her heart to Rehan’s flirtatious charm and you lose yourself in this lyrical track of 'Chand Sifarish'! Watch Full Movie: ► Google Play - http://goo.gl/RjOxZQ ► iTunes - https://goo.gl/MxPGPr 🎧 Song Credits: Song: Chand Sifarish Singers: Shaan, Kailash Kher Music: Jatin-Lalit Lyrics: Prasoon Joshi © Yash Raj Films Pvt. Ltd. Stay in the filmy loop: ► Like us on Facebook: https://facebook.com/yrf ► Follow us on Twitter: https://twitter.com/yrf ► Follow us on Instagram: http://instagram.com/yrf #YRFnewreleases #yrf #AamirKhan #Kajol #JatinLalit #Fanaa 🎬 Movie Credits: Starring: Aamir Khan, Kajol Director: Kunal Kohli Producer: Aditya Chopra Music: Jatin-Lalit Lyrics: Prasoon Joshi Release Date: 26 May 2006 Synopsis: Choices... to choose between right or wrong is simple, but what defines one's life is the decision between the greater of two goods or the lesser of two evils. This is the advice that Zooni Ali Beg (Kajol) receives from her father just as she is about to venture out into the world of her own for the very first time. Little does she know that these very words will shape her life. Zooni, a blind Kashmiri girl, meets Rehan Qadri (Aamir Khan), a local Delhi tour guide and an incorrigible flirt. Her friends warn her against this good-for-nothing roadside Romeo, but she chooses to ignore them. It is now her time to discover life and love. Is this really the right choice? Rehan is fascinated by Zooni and wants her to see life as it should be seen, in its many colours. He promises her that the time spent with him will be the most precious in all her life. Zooni sees Delhi, life and love like she never has before, because of Rehan. What Zooni doesn't know is that Rehan has another side of his life that he has kept from her - something that can not only change her life, but can also destroy it. Presenting the Official Theatrical Trailer in Tamil of the most awaited film of 2013 - DHOOM:3. Starring Aamir Khan, Abhishek Bachchan, Katrina Kaif & Uday Chopra. ► Subscribe to yrf http://goo.gl/Y4p3k ► Like us on Facebook https://facebook.com/Dhoom3TheMovie ► Follow us on Twitter https://twitter.com/Dhoom3TheMovie ► Circle us on YRF G+ https://plus.google.com/+yrf ► Follow us on Instagram http://instagram.com/yrf ► Follow us on Pinterest http://pinterest.com/yrf DHOOM:3 Film releases on 20th December 2013. Produced by Aditya Chopra, DHOOM:3 is written and directed by Vijay Krishna Acharya, who had also written DHOOM & DHOOM:2. Apart from Aamir Khan, who plays the anti-hero in the film, and Katrina Kaif, both Abhishek Bachchan and Uday Chopra will continue in their now iconic roles of Jai Dixit and Ali. 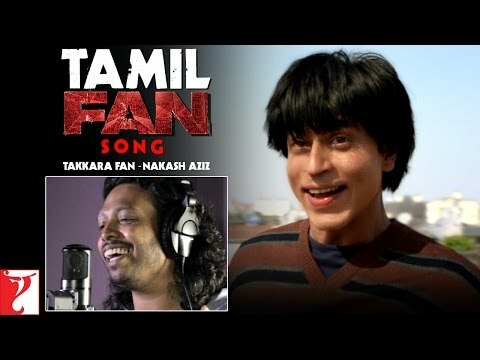 From Jabra to “Takkara”, enjoy this Tamil version of the FAN Anthem sung by Nakash Aziz. Click to share it on Fb: http://bit.ly/FanTamilSong Hear it First on' SAAVN: http://saa.vn/takkarafan Enjoy & stay connected with us! http://goo.gl/vyOc8o https://facebook.com/FanTheFilm https://twitter.com/FanTheFilm http://instagram.com/yrf https://www.facebook.com/yrfmusic https://plus.google.com/+yrf Song Credits: Song: Takkara Fan Singer: Nakash Aziz Music: Vishal & Shekhar Tamil Lyrics: B. Vijay Original Lyrics by: Varun Grover Movie Credits: Starring: Shah Rukh Khan Directed by: Maneesh Sharma Produced by: Aditya Chopra Release Date: 15 April 2016 Synopsis: In a world of labels it’s easy to forget who made sportsmen, pop singers and matinee idols into stars, superstars and megastars – the FANS. Every FAN has their own personal relationship with their hero – it’s almost a Love Story. FAN is the story of Gaurav (Shah Rukh Khan) a young man, 20 something, whose world revolves around the mega movie star Aryan Khanna (Shah Rukh Khan) or God as he refers to him. From the by lanes of Delhi, young Gaurav embarks on a journey to the city of dreams, Mumbai, in order to wish his God on his birthday. After all, he is Aryan’s biggest FAN and even has a striking resemblance to him – how difficult could it be for the world biggest FAN to get an audience with the world’s biggest Star. When things don't go according to plan, Gaurav’s love and passion for his God turns in to a dangerous obsession that crosses the fine line. In an edge of the seat thriller, FAN will peel away at both Gaurav and Aryan’s personalities and characters as the two men discover people within themselves that even they didn't know existed, and we’re left wondering who to sympathize with and whom to root for – can we really pick a side, after all, Superstars are also human beings but each one of us is also a FAN. ► Subscribe Now: https://goo.gl/xs3mrY 🔔 Stay updated! Aryan and Sunehri plan to steal the sword with each other’s expertise. Watch the video to know of their chase. Watch Full Movie: ► Google Play - http://goo.gl/P8jENJ ► iTunes - https://goo.gl/IrD2hm Stay in the filmy loop: ► Like us on Facebook: https://facebook.com/yrf ► Follow us on Twitter: https://twitter.com/yrf ► Follow us on Instagram: http://instagram.com/yrf 🎬 Movie Credits: Starring: Hrithik Roshan, Abhishek Bachchan, Aishwarya Rai, Uday Chopra, Bipasha Basu Director: Sanjay Gadhvi Producer: Aditya Chopra Music: Pritam Lyrics: Sameer Release Date: 24 November 2006 Synopsis: The world’s oldest desert, the Namib - A solitary railway line... A royal family on a royal journey. From the sky... like lightening... A flash... the centuries old royal crown is stolen. Back in action... DHOOM:2 reinvents the action comedy genre and propels it into the 21st century. Ali’s (Uday Chopra) dream of becoming a police officer has come true. He is now ACP Jai Dixit’s (Abhishek Bachchan) right hand man. Together they are trying to keep a tight leash on the crime in India, little do they know what they are going to be up against. Enter Aryan - Mr.A (Hrithik Roshan) A high tech international thief after pulling off a series of impossible heists all over the world. His next target is Mumbai, India. The case is given to ACP Jai Dixit and Ali helping them put the pieces of the puzzle together is ACP Shonali Bose (Bipasha Basu). For the last two years Shonali has been tracking these amazing thefts and is now an expert on this thief, who no one has seen. Once in Mumbai Mr.A finds his match in Sunehri (Aishwarya Rai). A petty yet clever thief. She makes him an offer he finds very hard to refuse. A partnership Aryan accepts. And so the game begins. The cops, Jai, Shonali and Ali and they are after Aryan and Sunehri - The Robbers. From the desert of Namibia to the backwaters of Goa, the mean streets of Mumbai and the ancient forts of Rajasthan and finally to wild and exotic Rio Brazil. Does ACP Jai Dixit manage to nab Mr.A? Go on! Enjoy the ride!! Once again!!! 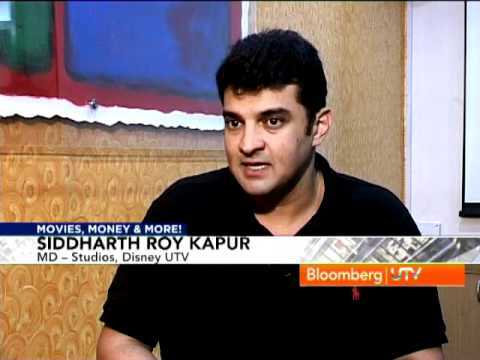 © Yash Raj Films Pvt. Ltd.
►Subscribe Now: https://goo.gl/xs3mrY 🔔 Stay updated! 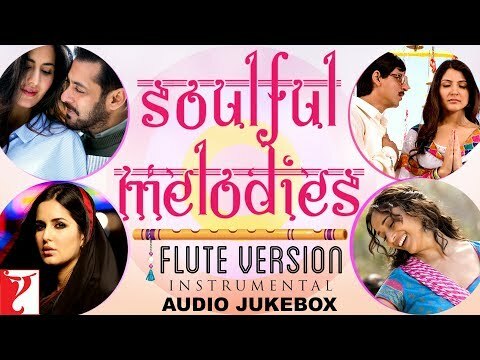 Watch Full Movie: ► Google Play - http://goo.gl/1UsWgV ► iTunes - https://goo.gl/7hBhCD 🎧 Song Credits: Song: Saathiya Singers: Sonu Nigam Music: A. R. Rahman Lyrics: Gulzar Stay in the filmy loop: ► Like us on Facebook https://facebook.com/yrf ► Follow us on Twitter: https://twitter.com/yrf ► Follow us on Instagram: http://instagram.com/yrf 🎬 Movie Credits: Starring: Vivek Oberoi, Rani Mukerji, Sandhya Mridul, Tanuja, Satish Shah, Swaroop Sampat, Tinu Anand, Sharat Saxena Special Appearance: Shah Rukh Khan & Tabu Director: Shaad Ali Producer: Bobby Bedi Music: A.R. Rahman Lyrics: Gulzar Director of Photography: Anil Mehta Release Date: 20 December 2002 Synopsis: Running away from home cant keep a couple together. A signed paper cant keep a couple together. Love can. While for most Love Stories, marriage is the goal, the fact remains that marriage is just the beginning. Saathiya continues on, from where most Love Stories end. From the infatuation stage when a couple thinks they are in love right through to when a couple discovers the true meaning of love. Aditya and Suhani met and fell in love. But when they eloped and set up home hoping that just Love will do the trick... well thats just the beginning of their story.... © Yash Raj Films Pvt. Ltd.
► Subscribe Now: https://goo.gl/xs3mrY 🔔 Stay updated! There is something that you don’t know from your favorite movie DDLJ! Watch the deleted scenes right here: Grab your copy of the DDLJ Book: http://goo.gl/LEKqCE Watch Full Movie: ► Google Play - http://goo.gl/LygwUx ► iTunes - https://goo.gl/meVNFs Stay in the filmy loop: ► Like us on Facebook: https://facebook.com/yrf ► Follow us on Twitter: https://twitter.com/yrf ► Follow us on Instagram: http://instagram.com/yrf 🎬 Movie Credits: Starring: Shah Rukh Khan, Kajol, Amrish Puri, Farida Jalal, Anupam Kher, Satish Shah, Parmeet Sethi, Mandira Bedi, Achla Sachdev, Himani Shivpuri, Pooja Ruparel Director: Aditya Chopra Producer: Yash Chopra Music: Jatin-Lalit Lyrics: Anand Bakshi Release Date: 20 October 1995 Synopsis: When Raj (Shah Rukh Khan) & Simran (Kajol) first met on an inter-rail holiday in Europe, it wasn't exactly Love at first sight...but when Simran is taken back to India for an arranged marriage, Love makes its presence felt. Encouraged by his father Dharamvir (Anupam Kher - Bend it like Beckham & ER), Raj decides to fly down from London to not just win his Bride but her whole family and the blessings of her father Baldev Singh (Amrish Puri - Indiana Jones & Temple of Doom). All this while the celebrations for her wedding are in full swing. The longest running film in Indian Cinema released on 20th October 1995 and is still showing in Mumbai (India). It won every major award in the year of release & Shahrukh Khan shot to superstardom with this film and it defined the term "Bollywood". © Yash Raj Films Pvt. 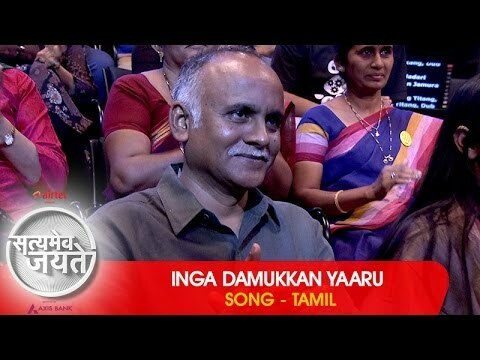 Ltd.
"Inga Damukkan Yaaru" - Song - Tamil | Satyamev Jayate 2 | Episode 4 - 23 March 2014 | Kings Every Day ► Airtel users dial 56789 (toll free) to make this song your Hello Tune. ► Buy from iTunes - http://goo.gl/jPeu5G ► Subscribe to "Satyamev Jayate'' - http://goo.gl/0M4Y6z Aamir Khan's Satyamev Jayate 2 - Episode 4 - 23 March 2014 Song: Inga Damukkan Yaaru Composer: Ram Sampath Lyrics: V. Ravichander Singer: Balram Backing Vocals: Pradipta Guha, Vrishal Chavan & Vipul Khunte Music Arranged by: Ram Sampath Programming: Vrashal Chavan Musicians: Kishore Sodha & Rahul Nail (Trumpet), Nirdosh Sobti (Guitar), Keshav Iyenger (Bass Guitar), Sameer Zore (Dholak), Swarupa Ananth (Kajun Box) Recorded by: Yash Divecha (at Omgrown Studios) Song Mixed & Mastered by: Ram Sampath & Yash Divecha (at Omgrown Studios) Talent Management & Co-ordination: Manohar Nayak, Lingo India Executive Producer (for Omgrown Music): Sona Mohapatra Satyamev Jayate: Season 2 | Episode # 4 Casting a vote once in five years is not enough for a democracy to thrive; its citizens must ensure that they engage on a regular basis with the government system as participants. If eternal vigilance is the price of democracy, every citizen has the duty to assess its workings. Yet, most of us spend a significant amount of time criticizing the establishment instead of trying to change it. ► Subscribe Now: https://goo.gl/xs3mrY 🔔 Stay updated! Coach Kabir Khan & his team were set on mission victory & there was no looking back. Bask in the glorious moments with the 'Chak De India' winning montage scene. Watch Full Movie: ► Google Play - http://goo.gl/ID55Jy ► iTunes - https://goo.gl/Q9Vlky Stay in the filmy loop: ► Like us on Facebook: https://facebook.com/yrf ► Follow us on Twitter: https://twitter.com/yrf ► Follow us on Instagram: http://instagram.com/yrf 🎬 Movie Credits: Starring: Shah Rukh Khan The Team: Sagarika Ghatge (as Preeti Sabarwal), Chitrashi Rawat (as Komal Chautala), Shilpa Shukla (as Bindia Naik), Vidya Malavade (as Vidya Sharma), Tanya Abrol (as Balbir Kaur), Anaitha Nair (as Aliya Bose), Shubhi Mehta (as Gunjan Lakhani), Seema Azmi (as Rani Dispotta), Nisha Nair (as Soimoi Kerketa), Sandia Furtado (as Nethra Reddy), Arya Menon (as Gul Iqbal), Masochon V. Zimik (as Molly Zimik), Kimi Laldawla (as Mary Ralte), Kimberly Miranda (as Rachna Prasad), Nichola Sequeira (as Nichola Sequeira), Raynia Mascarenhas (as Raynia Fernandes) Director: Shimit Amin Producer: Aditya Chopra Music: Salim-Sulaiman Lyrics: Jaideep Sahni Director Of Photography: Sudeep Chatterjee Release Date: 10 August 2007 Synopsis: Kabir Khan (Shah Rukh Khan) knows what it's like to come back from the dead. The ex Indian Captain has now come back in the avatar of the Coach of the Indian Women's National Hockey team. A team that exists more on paper and less in reality. The team is a rag-tag bunch of girls with their own agenda. A bunch of girls who have forgotten what it is like to play for the love of the game. Of playing because you want glory for your country. Not because you want a pensioned job or a government flat. They have all forgotten the sharp thrill of just holding the hockey stick, keeping their eyes on the ball and playing for all they are worth. They have played every game but hockey to make sure they get selected every year in the Indian National team. But what does it really mean to play for the Indian National team? To play for India? The girls have never known the thrilling energy of being Team India. Of giving their all to see their country's name on a trophy. But Kabir Khan, once a captain, now forgotten, does. He knows what it takes to get there. And what it means to return empty handed. This time, he wants to make sure that it's different. He knows there are no second chances. Despite his past, he believes that if only the girls played as one, anything would be possible. Because Kabir Khan believes that it is not that we can't win. It's just that we have never believed we can. CHAK DE INDIA is the story of a coach's fight of making his team, Team India by overcoming their diverse backgrounds, by learning to use everything that life hurls on them as a secret weapon. It's a story about honesty, sincerity and integrity. The Film became a cult classic and won its leading man the National Award and put the Indian National Sport "Hockey", back on the map. © Yash Raj Films Pvt. Ltd. Experience the most spectacular song promo of Mayanga from the most awaited film, DHOOM:3. Song: Mayanga Singer: Abhishek Nailwal & Mahalaxmi Iyer Music: Pritam Lyrics: Pa. Vijay ► Subscribe to yrf http://goo.gl/Y4p3k ► Dhoom:3 Playlist http://goo.gl/LZUfFE ► Like us on Facebook https://facebook.com/Dhoom3TheMovie ► Follow us on Twitter https://twitter.com/Dhoom3TheMovie ► Circle us on YRF G+ https://plus.google.com/+yrf ► Follow us on Instagram http://instagram.com/yrf ► Follow us on Pinterest http://pinterest.com/yrf Set "Malang (Mayanga)" - Song as your Caller Tune (India only): http://tinyurl.com/p5yy6nl Starring Aamir Khan, Abhishek Bachchan, Katrina Kaif & Uday Chopra. DHOOM:3 Film releases on 20th December 2013. Produced by Aditya Chopra, DHOOM:3 is written and directed by Vijay Krishna Acharya, who had also written DHOOM & DHOOM:2. Apart from Aamir Khan, who plays the anti-hero in the film, and Katrina Kaif, both Abhishek Bachchan and Uday Chopra will continue in their now iconic roles of Jai Dixit and Ali. ► Subscribe Now: https://goo.gl/xs3mrY 🔔 Stay updated! There is nothing that a perfect thief can’t get away with. Watch the video to know more: Watch Full Movie: ► Google Play - http://goo.gl/P8jENJ ► iTunes - https://goo.gl/IrD2hm Stay in the filmy loop: ► Like us on Facebook: https://facebook.com/yrf ► Follow us on Twitter: https://twitter.com/yrf ► Follow us on Instagram: http://instagram.com/yrf #YRFnewreleases #yrf #HrithikRoshan #AishwaryaRai #AbhishekBachchan #BipashaBasu #Dhoom2 🎬 Movie Credits: Starring: Hrithik Roshan, Abhishek Bachchan, Aishwarya Rai, Uday Chopra, Bipasha Basu Director: Sanjay Gadhvi Producer: Aditya Chopra Music: Pritam Lyrics: Sameer Release Date: 24 November 2006 Synopsis: The world’s oldest desert, the Namib - A solitary railway line... A royal family on a royal journey. From the sky... like lightening... A flash... the centuries old royal crown is stolen. Back in action... DHOOM:2 reinvents the action comedy genre and propels it into the 21st century. Ali’s (Uday Chopra) dream of becoming a police officer has come true. He is now ACP Jai Dixit’s (Abhishek Bachchan) right hand man. Together they are trying to keep a tight leash on the crime in India, little do they know what they are going to be up against. Enter Aryan - Mr.A (Hrithik Roshan) A high tech international thief after pulling off a series of impossible heists all over the world. His next target is Mumbai, India. The case is given to ACP Jai Dixit and Ali helping them put the pieces of the puzzle together is ACP Shonali Bose (Bipasha Basu). For the last two years Shonali has been tracking these amazing thefts and is now an expert on this thief, who no one has seen. Once in Mumbai Mr.A finds his match in Sunehri (Aishwarya Rai). A petty yet clever thief. She makes him an offer he finds very hard to refuse. A partnership Aryan accepts. And so the game begins. The cops, Jai, Shonali and Ali and they are after Aryan and Sunehri - The Robbers. From the desert of Namibia to the backwaters of Goa, the mean streets of Mumbai and the ancient forts of Rajasthan and finally to wild and exotic Rio Brazil. Does ACP Jai Dixit manage to nab Mr.A? Go on! Enjoy the ride!! Once again!!! © Yash Raj Films Pvt. Ltd.
B-Town Heads South cos of hugh potential in South. Yash Raj Films To venture in Tamil Films by remaking their own hits. ► Subscribe Now: https://goo.gl/xs3mrY 🔔 Stay updated! Meet Kabir Khan, the coach of Indian National Women's Hockey Team. Watch this scene here. Watch Full Movie: ► Google Play - http://goo.gl/ID55Jy ► iTunes - https://goo.gl/Q9Vlky Stay in the filmy loop: ► Like us on Facebook: https://facebook.com/yrf ► Follow us on Twitter: https://twitter.com/yrf ► Follow us on Instagram: http://instagram.com/yrf 🎬 Movie Credits: Starring: Shah Rukh Khan The Team: Sagarika Ghatge (as Preeti Sabarwal), Chitrashi Rawat (as Komal Chautala), Shilpa Shukla (as Bindia Naik), Vidya Malavade (as Vidya Sharma), Tanya Abrol (as Balbir Kaur), Anaitha Nair (as Aliya Bose), Shubhi Mehta (as Gunjan Lakhani), Seema Azmi (as Rani Dispotta), Nisha Nair (as Soimoi Kerketa), Sandia Furtado (as Nethra Reddy), Arya Menon (as Gul Iqbal), Masochon V. Zimik (as Molly Zimik), Kimi Laldawla (as Mary Ralte), Kimberly Miranda (as Rachna Prasad), Nichola Sequeira (as Nichola Sequeira), Raynia Mascarenhas (as Raynia Fernandes) Director: Shimit Amin Producer: Aditya Chopra Music: Salim-Sulaiman Lyrics: Jaideep Sahni Director Of Photography: Sudeep Chatterjee Release Date: 10 August 2007 Synopsis: Kabir Khan (Shah Rukh Khan) knows what it's like to come back from the dead. The ex Indian Captain has now come back in the avatar of the Coach of the Indian Women's National Hockey team. A team that exists more on paper and less in reality. The team is a rag-tag bunch of girls with their own agenda. A bunch of girls who have forgotten what it is like to play for the love of the game. Of playing because you want glory for your country. Not because you want a pensioned job or a government flat. They have all forgotten the sharp thrill of just holding the hockey stick, keeping their eyes on the ball and playing for all they are worth. They have played every game but hockey to make sure they get selected every year in the Indian National team. But what does it really mean to play for the Indian National team? To play for India? The girls have never known the thrilling energy of being Team India. Of giving their all to see their country's name on a trophy. But Kabir Khan, once a captain, now forgotten, does. He knows what it takes to get there. And what it means to return empty handed. This time, he wants to make sure that it's different. He knows there are no second chances. Despite his past, he believes that if only the girls played as one, anything would be possible. Because Kabir Khan believes that it is not that we can't win. It's just that we have never believed we can. CHAK DE INDIA is the story of a coach's fight of making his team, Team India by overcoming their diverse backgrounds, by learning to use everything that life hurls on them as a secret weapon. It's a story about honesty, sincerity and integrity. The Film became a cult classic and won its leading man the National Award and put the Indian National Sport "Hockey", back on the map. © Yash Raj Films Pvt. Ltd.
► Subscribe Now: https://goo.gl/xs3mrY 🔔 Stay updated! Stunning moves & trippy beats. This one’s a musical treat! Watch the full song video of ‘Dhoom Machale’ from the movie ‘Dhoom’. Watch Full Movie: ► Google Play - http://goo.gl/1W3H4q ► iTunes - https://goo.gl/4g86ug 🎧 Song Credits: Song: Dhoom Machale Singer: Sunidhi Chauhan Music: Pritam Lyrics: Sameer Stay in the filmy loop: ► Like us on Facebook: https://facebook.com/yrf ► Follow us on Twitter: https://twitter.com/yrf ► Follow us on Instagram: http://instagram.com/yrf 🎬 Movie Credits: Starring: Abhishek Bachchan, Uday Chopra, John Abraham, Esha Deol, Rimi Sen Director: Sanjay Gadhvi Producer: Aditya Chopra Music: Pritam Lyrics: Sameer Release Date: 27 August 2004 Synopsis: The tale begins in Mumbai where a sophisticated gang of robbers is sweeping through the city, giving nightmares to the police department. They come like wind, sweep the place and disappear on their hi-tech bikes - the slickest and fastest riding machines on the road. Officer Jai Dixit (Abhishek Bachchan) is brought in on the case. Soon he is on the trail of the robbers - a gang headed by Kabir (John Abraham), an evil perfectionist with an attitude. Jai ropes in the services of Ali (Uday Chopra), a happy-go-lucky garage mechanic and a prodigious bike rider. The two reluctant partners join forces, and soon Jai realizes that the clown can ride bikes like the wind. Kabir soon catches on to Jai-Ali’s teaming up and his arrogance pushes him to take up the challenge openly. From the mean streets of Mumbai, the chase shifts to the sun kissed beaches of Goa. And so starts the hunt... where sometimes the hunter becomes the hunted. Dhoom reinvents the classic cops and robbers tale and brings it into the 21st century. With fast bikes, big action, non-stop fun and a thrilling story that leaves you out of breath, Dhoom is a powerhouse of adventure and excitement waiting to explode. It’s like your favourite roller coaster ride... once you’re on, the only thing you want to do is to go back and take that ride all over again! © Yash Raj Films Pvt. Ltd.
► Subscribe Now: https://goo.gl/xs3mrY 🔔 Stay updated! Lose yourself in the melodious and magical musical trance with the flute versions of your favourite songs. Play them on loop. Flute Version - Soulful Melodies: ► 00:00 - Dil Diyan Gallan - https://youtu.be/l6Nu7A27-9Q ► 04:26 - Moh Moh Ke Dhaage - https://youtu.be/7k7fDGeG7JU ► 09:48 - Jag Ghoomeya - https://youtu.be/95XibN4EsqI ► 14:27 - Manna Ke Hum Yaar Nahin - https://youtu.be/TJgTjFVuBLc ► 18:56 - Tujh Mein Rab DIkhta Hai - https://youtu.be/uYFxTczfT8g ► 23:36 - Afeemi - https://youtu.be/1ntDVvqgpNw ► 27:42 - Bulleya - https://youtu.be/3Y4kqxdBEQ0 ► 33:36 - Saiyaara - https://youtu.be/dirRLsu-_KE ► 37:44 - Tune Jo Na Kaha - https://youtu.be/G1AanZ2g3sA ► 42:50 - Tu Jahaan - https://youtu.be/WdfxJ48Qrhk ► 48:04 - Aadha Ishq - https://youtu.be/ml2MIHXBkK4 ► 52:43 - Ishq Hua - https://youtu.be/DlMM1wAqpTc ► 57:04 - O Re Piya - https://youtu.be/k_ZRVM3aYZc ► 01:01:55 - Saaiyaan - https://youtu.be/Hmu0HAKAa4M ► 01:06:07 - Bol Na Halke Halke - https://youtu.be/eqqn1bPPp1M Stay in the filmy loop: ► Like us on Facebook: https://facebook.com/yrf ► Follow us on Twitter: https://twitter.com/yrf ► Follow us on Instagram: https://instagram.com/yrf 🎧 All Song Credits: Song: Dil Diyan Gallan Singer: Atif Aslam Music: Vishal and Shekhar Lyrics: Irshad Kamil Song: Moh Moh Ke Dhaage Singers: Papon, Monali Thakur Music: Anu Malik Lyrics: Varun Grover Song: Jag Ghoomeya Singer: Rahat Fateh Ali Khan Music: Vishal and Shekhar Lyrics: Irshad Kamil Song: Maana Ke Hum Yaar Nahin Singer: Parineeti Chopra Music: Sachin-Jigar Lyrics: Kausar Munir Song: Tujh Mein Rab Dikhta Hai Singer: Roop Kumar Rathod Music: Salim-Sulaiman Lyrics: Jaideep Sahni Song: Afeemi Singers: Sanah Moidutty & Jigar Saraiya Music: Sachin-Jigar Lyrics: Kausar Munir Song: Bulleya Singer: Papon Music: Vishal and Shekhar Lyrics: Irshad Kamil Song: Saiyaara Singers: Mohit Chauhan, Taraannum Mallik Music: Sohail Sen Lyrics: Kausar Munir Song: Tune Jo Na Kaha Singer: Mohit Chauhan Music: Pritam Lyrics: Sandeep Shrivastava Song: Tu Jahaan Singers: Sonu Nigam, Mahalaxmi Iyer Music: Vishal and Shekhar Lyrics: Jaideep Sahni Song: Aadha Ishq Singer: Shreya Ghoshal Additional Vocals: Natalie DiLuccio Music: Salim-Sulaiman Lyrics: Amitabh Bhattacharya Song: Ishq Hua Singers: Sonu Nigam, Shreya Ghoshal Music: Salim-Sulaiman Lyrics: Jaideep Sahni Song: O Re Piya Singer: Rahat Fateh Ali Khan Music: Salim-Sulaiman Lyrics: Jaideep Sahni Song: Saaiyaan Singer: Shahid Mallya Music: Sohail Sen Lyrics: Irshad Kamil Song: Bol Na Halke Halke Singers: Rahat Fateh Ali Khan, Mahalaxmi Iyer Music: Shankar-Ehsaan-Loy Lyrics: Gulzar Flute Version: R. S. Mani, Sunny Subramanian Artist (Flute): Vijay Tambe Recording Studio: YRF Studios (Vijay Dayal, Chinmay Mestry) Mixed & Mastered By: Vijay Dayal (YRF Studios) © Yash Raj Films Pvt. Ltd.
► Subscribe Now: https://goo.gl/xs3mrY 🔔 Stay updated! Aryan pulls a classic train robbery with difficult stunts. Watch this iconic scene from the film ‘Dhoom:2’. Watch Full Movie: ► Google Play - http://goo.gl/P8jENJ ► iTunes - https://goo.gl/IrD2hm Stay in the filmy loop: ► Like us on Facebook: https://facebook.com/yrf ► Follow us on Twitter: https://twitter.com/yrf ► Follow us on Instagram: http://instagram.com/yrf 🎬 Movie Credits: Starring: Hrithik Roshan, Abhishek Bachchan, Aishwarya Rai, Uday Chopra, Bipasha Basu Director: Sanjay Gadhvi Producer: Aditya Chopra Music: Pritam Lyrics: Sameer Release Date: 24 November 2006 Synopsis: The world’s oldest desert, the Namib - A solitary railway line... A royal family on a royal journey. From the sky... like lightening... A flash... the centuries old royal crown is stolen. Back in action... DHOOM:2 reinvents the action comedy genre and propels it into the 21st century. Ali’s (Uday Chopra) dream of becoming a police officer has come true. He is now ACP Jai Dixit’s (Abhishek Bachchan) right hand man. Together they are trying to keep a tight leash on the crime in India, little do they know what they are going to be up against. Enter Aryan - Mr.A (Hrithik Roshan) A high tech international thief after pulling off a series of impossible heists all over the world. His next target is Mumbai, India. The case is given to ACP Jai Dixit and Ali helping them put the pieces of the puzzle together is ACP Shonali Bose (Bipasha Basu). For the last two years Shonali has been tracking these amazing thefts and is now an expert on this thief, who no one has seen. Once in Mumbai Mr.A finds his match in Sunehri (Aishwarya Rai). A petty yet clever thief. She makes him an offer he finds very hard to refuse. A partnership Aryan accepts. And so the game begins. The cops, Jai, Shonali and Ali and they are after Aryan and Sunehri - The Robbers. From the desert of Namibia to the backwaters of Goa, the mean streets of Mumbai and the ancient forts of Rajasthan and finally to wild and exotic Rio Brazil. Does ACP Jai Dixit manage to nab Mr.A? Go on! Enjoy the ride!! Once again!!! © Yash Raj Films Pvt. 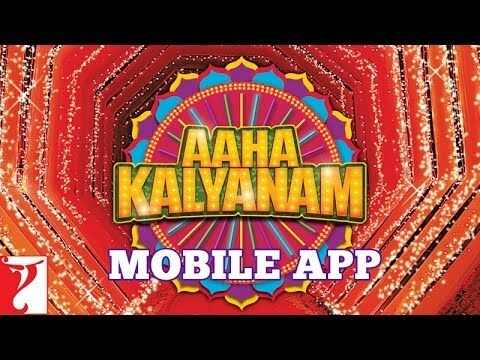 Ltd.
"Thedudhey Manam" - Song - Tamil | Satyamev Jayate 2 | Episode 2 - 09 March 2014 | Police ► Airtel users dial 56789 (toll free) to make this song your Hello Tune. ► Buy from iTunes - http://goo.gl/jPeu5G ► Subscribe to "Satyamev Jayate'' - http://goo.gl/0M4Y6z Aamir Khan's Satyamev Jayate 2 - Episode 2 - 09 March 2014 Song: Thedudhey Manam Composer: Ram Sampath Lyrics: V. Chakravarthy Singer: Rajiv Sundaresan Music Arranged by: Ram Sampath Programming: Vrashal Chavan Musicians: Nirdosh Das (Acoustic Guitar), Nitish Ranadive (Percussion) Recorded by: Yash Divecha (at Omgrown Studios) Song Mixed & Mastered by: Ram Sampath & Yash Divecha (at Omgrown Studios) Talent Management & Co-ordination: Pradipta Guha Executive Producer (for Omgrown Music): Sona Mohapatra Satyamev Jayate: Season 2 | Episode # 2 Though the police are meant to serve the people, they are seen as objects of fear, sometimes even hatred. But instead of vilifying them, we look at the problem: the lack of police reforms. Vasandha Kaalam - Song - Tamil | Satyamev Jayate - Season 3 - Episode 5 - 02 November 2014 - Mental Illness ► Airtel users dial 56789 (toll free) to make this song your Hello Tune. 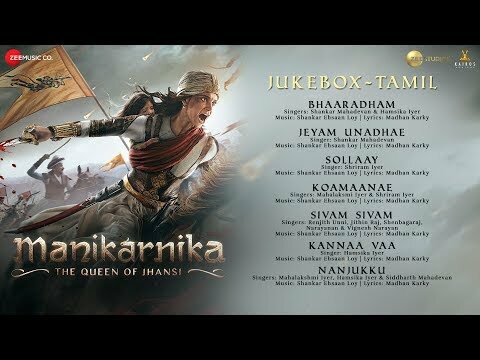 ► Buy from iTunes - http://goo.gl/FZ3130 ► Subscribe to "Satyamev Jayate'' - http://goo.gl/0M4Y6z Set "Vasandha Kaalam"- song as your Caller Tune (India only): http://tinyurl.com/ldf6pll Aamir Khan's Satyamev Jayate - Season 3 - Episode 5 - 02 November 2014 Song: Vasandha Kaalam Composer: Ram Sampath Lyrics: V. Ravichander Singer: Hamsika Iyer Music Arranged by: Ram Sampath Flute: Nitesh Bisht Recorded by: Yash Divecha and Nitesh Bisht(at Omgrown Studios) Song Mixed & Mastered by: Ram Sampath and Yash Divecha (at Omgrown Studios) Assistant Engineer: Nitesh Bisht and Shayan Chakraborty Talent Management & Co-ordination: Avneet Gujral Executive Producer (for Omgrown Music): Sona Mohapatra Creative Co-ordination - Manohar Nayak, Lingo India Recording Studio: Shankh Studio Director: Svati Chakravarty Producer: Aamir Khan Production Director of Photography: Shanti Bhushan Roy Satyamev Jayate: Season 3 | Episode # 5 Most of us don’t know that 1 out of 4 people in India suffer from a diagnosable mental illness and that all of us are vulnerable to it with busier and faster-paced lives. It is this reality that Episode 5 of Satyamev Jayate examines through the accounts of patients, mental health experts and caregivers. For all those who believe love is nothing less than a celebration of two hearts & souls, for all those who’re always in the mood for love, here’s a perfect compilation of the best of romantic songs. 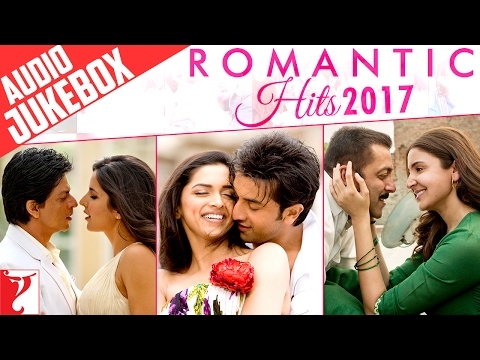 Listen to the ‘Romantic Hits’ - Audio Jukebox. Enjoy & stay connected with us! ► Subscribe to YRF: http://goo.gl/vyOc8o ► Like us on Facebook: https://facebook.com/yrf ► Follow us on Twitter: https://twitter.com/yrf ► Follow us on Instagram: http://instagram.com/yrf Romantic Hits - Audio Jukebox: 00:07 - Jag Ghoomeya 04:37 - Moh Moh Ke Dhaage (Female) 09:58 - Sajde 15:07 - Saans 20:28 - Gulabi 24:16 - Chup Chup Ke 31:28 - Ishq Hua 35:48 - Aadha Ishq 40:27 - Jiya 45:07 - Khuda Jaane 50:38 - Humko Humise Chura Lo 58:29 - Chupke Se 01:04:30 - Tujh Mein Rab Dikhta Hai 01:09:07 - Main Yahaan Hoon 01:13:59 - Bol Na Halke Halke 01:19:03 - Saathiya 01:24:58 - Hum Tum 01:30:24 - Pareshaan 01:34:58 - Tere Liye 01:40:29 - Dekho Na 01:45:47 - Man Lafanga 01:51:20 - Isq Risk 01:55:54 - Hey Shona 02:01:11 - Mannat 02:06:06 - Mere Sang 02:12:28 - Mere Haath Mein 02:17:08 - Ishq Hi Hai Rab 02:22:26 - Jag Ghoomeya (Female Version) Song Credits: Song: Jag Ghoomeya Singer: Rahat Fateh Ali Khan Music: Vishal and Shekhar Song: Moh Moh Ke Dhaage (Female) Singer: Monali Thakur Music: Anu Malik Song: Sajde Singers: Arijit Singh & Nihira Joshi Deshpande Music: Shankar-Ehsaan-Loy Song: Saans Singers: Shreya Ghoshal & Mohit Chauhan Music: A. R. Rahman Song: Gulabi Singers: Jigar Saraiya & Priya Saraiya Music: Sachin-Jigar Song: Chup Chup Ke Singers: Sonu Nigam & Mahalaxmi Iyer Music: Shankar-Ehsaan-Loy Song: Ishq Hua Singers: Sonu Nigam & Shreya Ghoshal Music: Salim-Sulaiman Song: Aadha Ishq Singers: Shreya Ghoshal (Additional Vocals: Natalie DiLuccio) Music: Salim-Sulaiman Song: Jiya Singer: Arijit Singh Music: Sohail Sen Song: Khuda Jaane Singers: KK & Shilpa Rao Music: Vishal & Shekhar Song: Humko Humise Chura Lo Singers: Lata Mangeshkar & Udit Narayan Music: Jatin-Lalit Song: Chupke Se Singers: Sadhana Sargam, Murtuza & Qadir Music: A. R. Rahman Song: Tujh Mein Rab Dikhta Hai Singer: Roop Kumar Rathod Music: Salim-Sulaiman Song: Main Yahaan Hoon Singer: Udit Narayan Music: Late Madan Mohan Song: Bol Na Halke Halke Singers: Rahat Fateh Ali Khan & Mahalaxmi Iyer Music: Shankar-Ehsaan-Loy Song: Saathiya Singer: Sonu Nigam Music: A. R. Rahman Song: Hum Tum Singers: Alka Yagnik & Babul Supriyo Music: Jatin-Lalit Song: Pareshaan Singer: Shalmali Kholgade Music: Amit Trivedi Song: Tere Liye Singers: Lata Mangeshkar & Roop Kumar Rathod Music: Late Madan Mohan Song: Dekho Na Singers: Sonu Nigam & Sunidhi Chauhan Music: Jatin-Lalit Song: Man Lafanga Singer: Mohit Chauhan Music: R. Anandh Song: Isq Risk Singer: Rahat Fateh Ali Khan Music: Sohail Sen Song: Hey Shona Singers: Shaan & Sunidhi Chauhan Music: Vishal & Shekhar Song: Mannat Singers: Sonu Nigam, Shreya Ghoshal & Keerthi Sagathia Music: Sajid-Wajid Song: Mere Sang Singer: Sunidhi Chauhan Music: Pritam Song: Mere Haath Mein Singers: Sonu Nigam, Sunidhi Chauhan & Aamir Khan, Kajol Music: Jatin-Lalit Song: Ishq Hi Hai Rab Singers: Sonu Nigam & Shreya Ghoshal Music: Pritam Song: Jag Ghoomeya (Female Version) Singer: Neha Bhasin Music: Vishal and Shekhar © Yash Raj Films Pvt. Ltd.
►Subscribe Now: https://goo.gl/xs3mrY 🔔 Stay updated! They had an awesome partnership! Watch this endearing scene from Rab Ne Bana Di Jodi! Watch Full Movie: ► Google Play - http://goo.gl/cf4e6o ► iTunes - https://goo.gl/FP4GcO Stay in the filmy loop: ► Like us on Facebook: https://facebook.com/yrf ► Follow us on Twitter: https://twitter.com/yrf ► Follow us on Instagram: https://instagram.com/yrf 🎬 Movie Credits: Starring: Shah Rukh Khan, Anushka Sharma & Vinay Pathak Director: Aditya Chopra Producers: Yash Chopra & Aditya Chopra Music: Salim-Sulaiman Lyrics: Jaideep Sahni Director of Photography: Ravi K. Chandran I.S.C. Release Date: 12 December 2008 Synopsis: Have you ever stopped to think if the most ordinary, uninteresting, unobtrusive man you might see on the road or around you might have a love story to tell? Maybe not! How can an ordinary man have a breathtaking, goose flesh igniting, awe inspiring love story of all things to tell? This is what happened to Surinder Sahni (Shah Rukh Khan) - a simple, clean hearted, honest man, leading a humdrum life, when he meets his total opposite and finds love in the flamboyant, fun-loving, vivacious - Taani (Anushka Sharma) for whom the whole world is her canvas and she paints her own life with the colours of rainbow all until unforeseen circumstances changes it all and brings them together. What follows is a journey filled with laughter, tears, joy, pain, music, dance and a lot of love. A journey that makes us believe that there is an extraordinary love story in every ordinary jodi (couple). © Yash Raj Films Pvt. Ltd.
►Subscribe Now: https://goo.gl/xs3mrY 🔔 Stay updated! From the ordinary Suri to the funky Raj, he was determined to go any extremes to win Taani's love. Watch this scene from 'Rab Ne Bana Di Jodi'. Watch Full Movie: ► Google Play - http://goo.gl/cf4e6o ► iTunes - https://goo.gl/FP4GcO Stay in the filmy loop: ► Like us on Facebook: https://facebook.com/yrf ► Follow us on Twitter: https://twitter.com/yrf ► Follow us on Instagram: https://instagram.com/yrf 🎬 Movie Credits: Starring: Shah Rukh Khan, Anushka Sharma & Vinay Pathak Director: Aditya Chopra Producers: Yash Chopra & Aditya Chopra Music: Salim-Sulaiman Lyrics: Jaideep Sahni Director of Photography: Ravi K. Chandran I.S.C. Release Date: 12 December 2008 Synopsis: Have you ever stopped to think if the most ordinary, uninteresting, unobtrusive man you might see on the road or around you might have a love story to tell? Maybe not! How can an ordinary man have a breathtaking, goose flesh igniting, awe inspiring love story of all things to tell? This is what happened to Surinder Sahni (Shah Rukh Khan) - a simple, clean hearted, honest man, leading a humdrum life, when he meets his total opposite and finds love in the flamboyant, fun-loving, vivacious - Taani (Anushka Sharma) for whom the whole world is her canvas and she paints her own life with the colours of rainbow all until unforeseen circumstances changes it all and brings them together. What follows is a journey filled with laughter, tears, joy, pain, music, dance and a lot of love. A journey that makes us believe that there is an extraordinary love story in every ordinary jodi (couple). © Yash Raj Films Pvt. Ltd.
► Subscribe Now: https://goo.gl/xs3mrY 🔔 Stay updated! 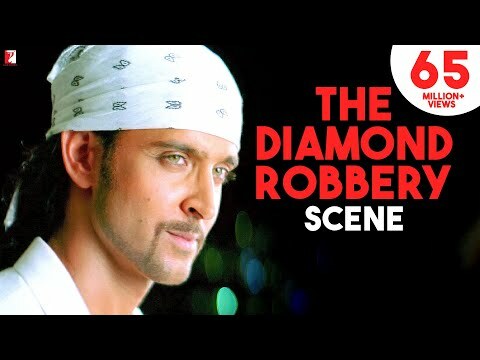 Hrithik Roshan, an ace at stealing hearts steals the diamond with the same ease, confidence and technique. Watch Full Movie: ► Google Play - http://goo.gl/P8jENJ ► iTunes - https://goo.gl/IrD2hm Stay in the filmy loop: ► Like us on Facebook: https://facebook.com/yrf ► Follow us on Twitter: https://twitter.com/yrf ► Follow us on Instagram: http://instagram.com/yrf #YRFnewreleases #Dhoom2 #yrf #HrithikRoshan #Aishwarya Rai 🎬 Movie Credits: Starring: Hrithik Roshan, Abhishek Bachchan, Aishwarya Rai, Uday Chopra, Bipasha Basu Director: Sanjay Gadhvi Producer: Aditya Chopra Music: Pritam Lyrics: Sameer Release Date: 24 November 2006 Synopsis: The world’s oldest desert, the Namib - A solitary railway line... A royal family on a royal journey. From the sky... like lightening... A flash... the centuries old royal crown is stolen. Back in action... DHOOM:2 reinvents the action comedy genre and propels it into the 21st century. Ali’s (Uday Chopra) dream of becoming a police officer has come true. He is now ACP Jai Dixit’s (Abhishek Bachchan) right hand man. Together they are trying to keep a tight leash on the crime in India, little do they know what they are going to be up against. Enter Aryan - Mr.A (Hrithik Roshan) A high tech international thief after pulling off a series of impossible heists all over the world. His next target is Mumbai, India. The case is given to ACP Jai Dixit and Ali helping them put the pieces of the puzzle together is ACP Shonali Bose (Bipasha Basu). For the last two years Shonali has been tracking these amazing thefts and is now an expert on this thief, who no one has seen. Once in Mumbai Mr.A finds his match in Sunehri (Aishwarya Rai). A petty yet clever thief. She makes him an offer he finds very hard to refuse. A partnership Aryan accepts. And so the game begins. The cops, Jai, Shonali and Ali and they are after Aryan and Sunehri - The Robbers. From the desert of Namibia to the backwaters of Goa, the mean streets of Mumbai and the ancient forts of Rajasthan and finally to wild and exotic Rio Brazil. Does ACP Jai Dixit manage to nab Mr.A? Go on! Enjoy the ride!! Once again!!! © Yash Raj Films Pvt. Ltd.
► Subscribe Now: https://goo.gl/xs3mrY 🔔 Stay updated! 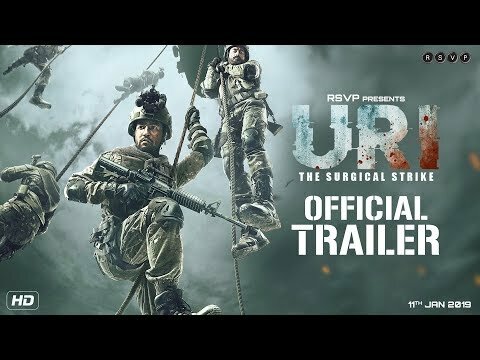 Watch Full Movie: ► Google Play - https://goo.gl/YkXP6Y ► iTunes - https://goo.gl/1xHvfm Stay in the filmy loop: ► Like us on Facebook: https://facebook.com/yrf ► Follow us on Twitter: https://twitter.com/yrf ► Follow us on Instagram: http://instagram.com/yrf 🎬 Movie Credits: Starring: Shah Rukh Khan Director: Maneesh Sharma Producer: Aditya Chopra Director of Photography: Manu Anand Release Date: 15 April 2016 Synopsis: In a world of labels it’s easy to forget who made sportsmen, pop singers and matinee idols into stars, superstars and megastars - the FANS. Every FAN has their own personal relationship with their hero - it’s almost a Love Story. FAN is the story of Gaurav (Shah Rukh Khan) a young man, 20 something, whose world revolves around the mega movie star Aryan Khanna (Shah Rukh Khan) or God as he refers to him. From the by lanes of Delhi, young Gaurav embarks on a journey to the city of dreams, Mumbai, in order to wish his God on his birthday. After all, he is Aryan’s biggest FAN and even has a striking resemblance to him - how difficult could it be for the world biggest FAN to get an audience with the world’s biggest Star. When things don't go according to plan, Gaurav’s love and passion for his God turns in to a dangerous obsession that crosses the fine line. In an edge of the seat thriller, FAN will peel away at both Gaurav and Aryan’s personalities and characters as the two men discover people within themselves that even they didn't know existed, and we’re left wondering who to sympathize with and whom to root for - can we really pick a side, after all, Superstars are also human beings but each one of us is also a FAN. © Yash Raj Films Pvt. Ltd.
DHARMESH DARSHAN speaks to VYJAYANTHIMALA - LEGENDARY INTERVIEW OF BOLLYWOOD SANGAM at RK STUDIO for YRF !